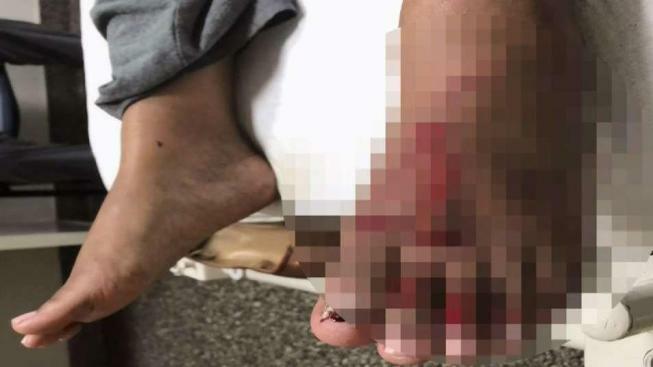 A Virginia woman who says she was injured in a electric scooter incident has been contacted by the scooter company following a News4 report. Nanette Bass of Arlington said she had to jump off of a Bird scooter moving 15 mph to avoid oncoming traffic because the rented scooter's brakes weren't working. Bass said she used scooters several times before to go down a hill on North Barton Street and never had an issue until the incident. "I tried to use the braking mechanism and it didn't work," she said. "So when I was on the hill I had to use the executive decision to either hit oncoming traffic that was coming at me or jump off. So I had to jump off." Bass said she suffered wounds on her head, knee, legs and feet. Some of the injuries required stitches. She said she has been out of work for two weeks to recover. After Monday evening's report on News4, Bird reached out to Bass and told her they've submitted her claim to insurance to help resolve some of her medical bills.